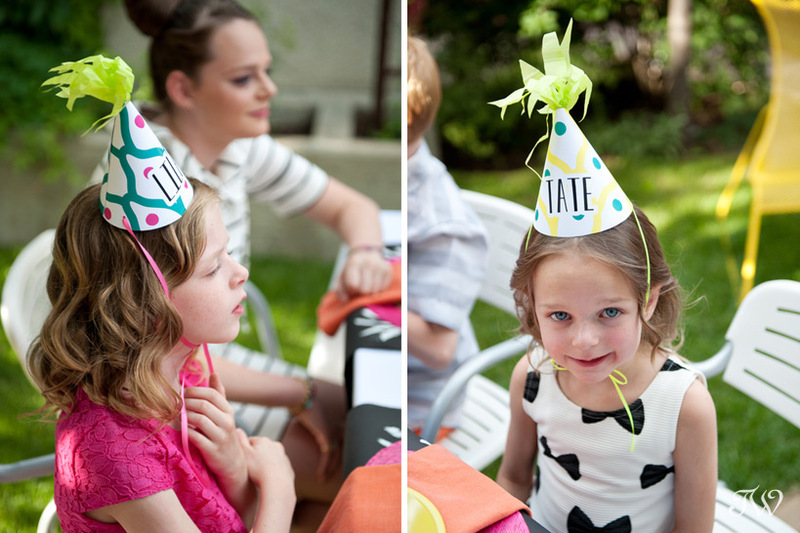 Many Brides and Grooms have at least a few children on their guest list. 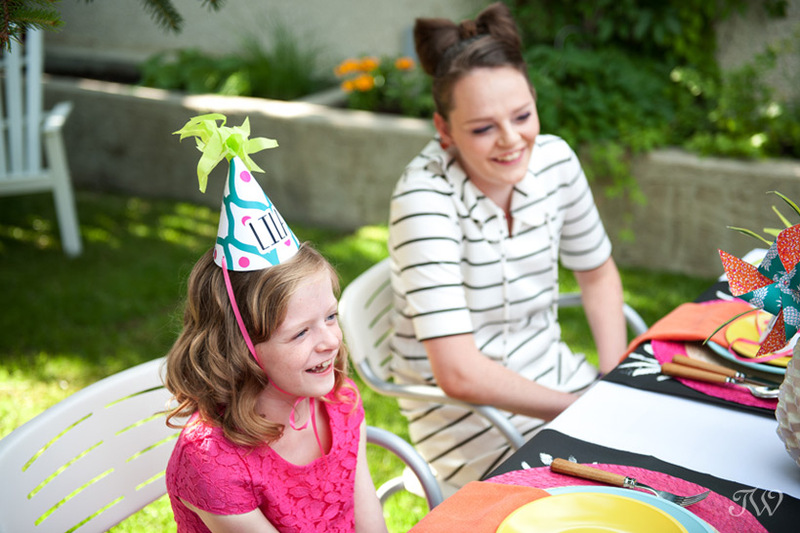 A kid’s lounge is a great option for children at weddings. 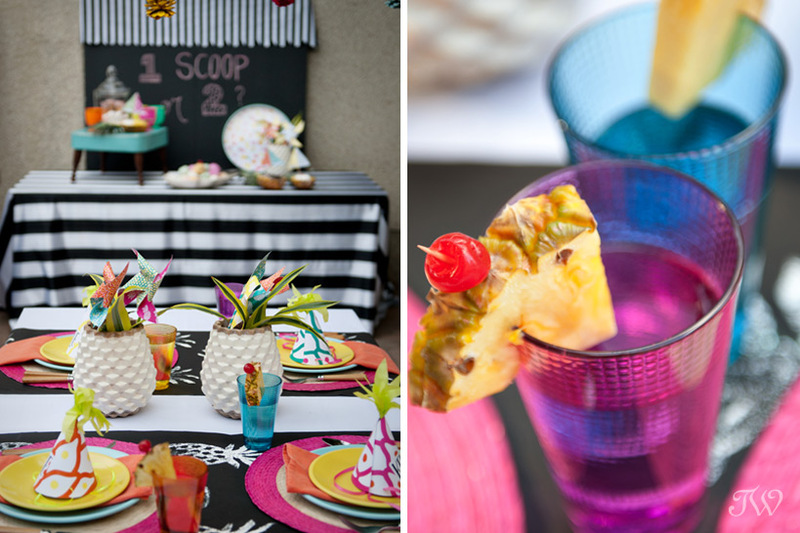 Complete with a babysitter, it’s the perfect way to entertain the kids and allow their parents to relax at the reception. 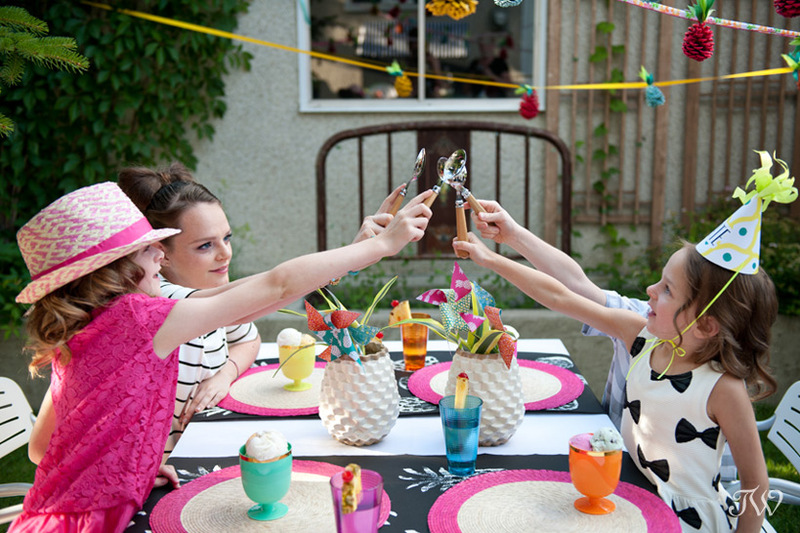 I teamed up with Dallas lifestyle blogger, Randi of Dukes & Duchesses, on a shoot designed to inspire with ideas for kid-friendly favors, menus, activities and entertainment. 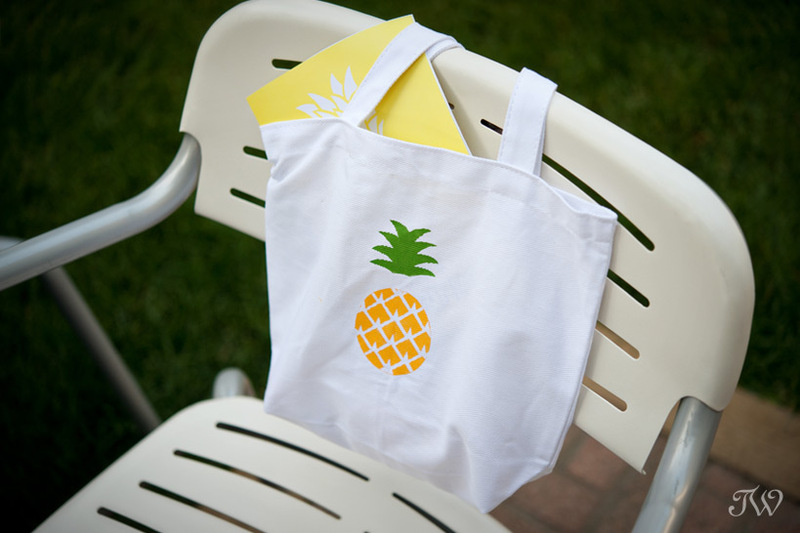 Our starting point was the design trend that’s popping up everywhere this summer…pineapples. 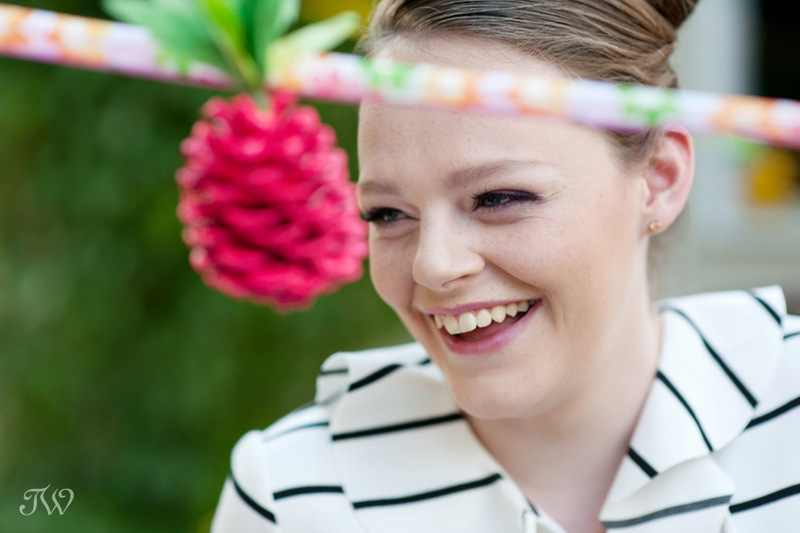 For centuries, pineapples have been symbols of welcome, which make them the perfect motif for captivating young guests. 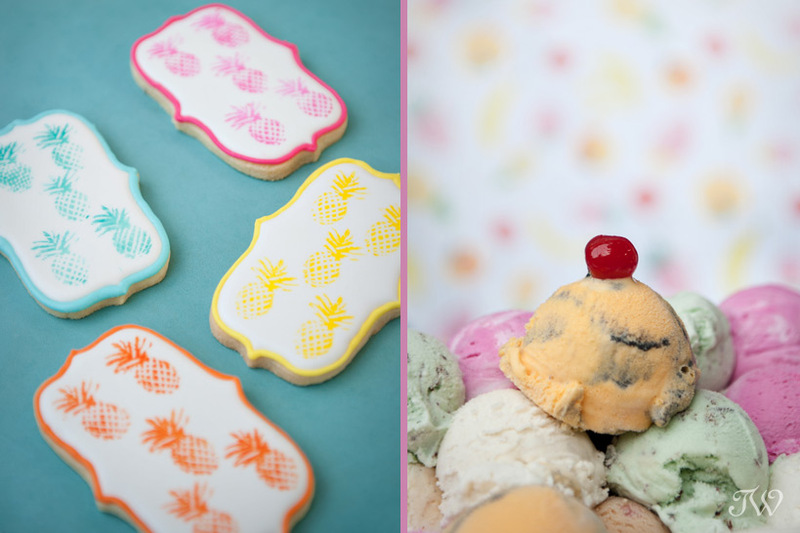 We chose splashy and flamboyant versions of pineapples printed on table runners, gift bags and even cookies. Randi brought along four of her own kids so I guess you could say that everything that day was kid-approved. 1. 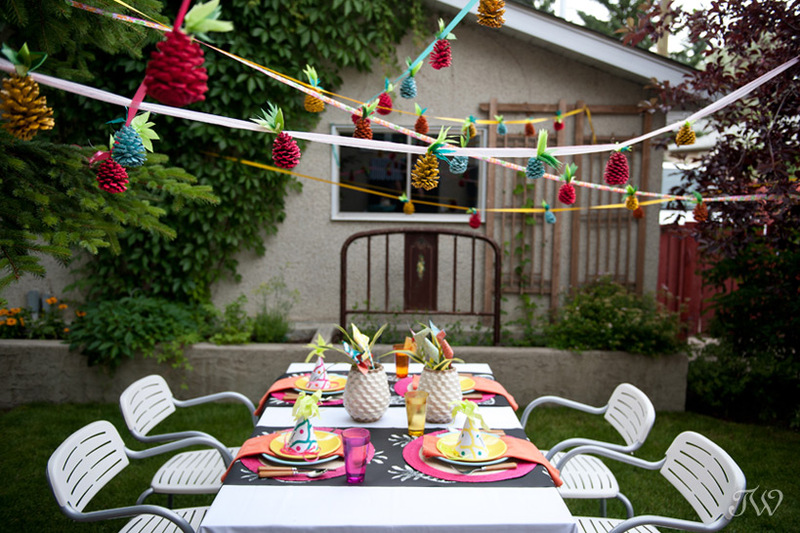 We aimed for a festive, party atmosphere by morphing pinecones into pineapples. 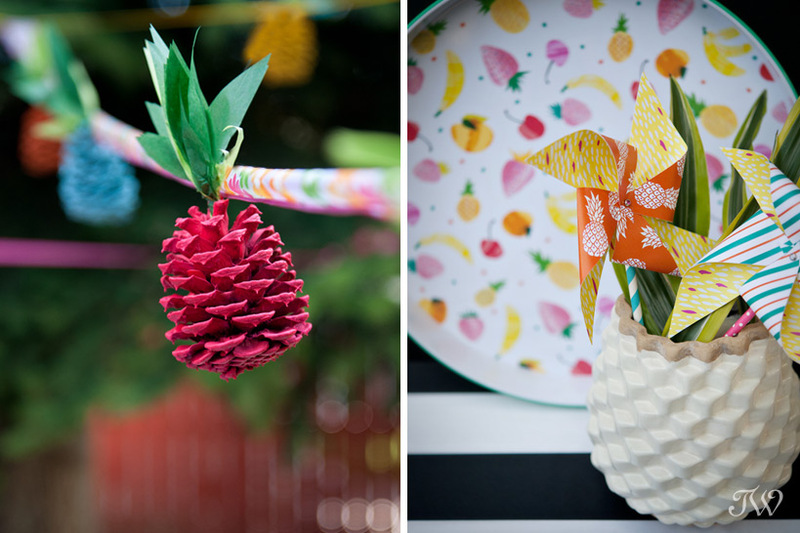 Ponderosa pinecones were spray-painted in bright hues and tissue paper leaves were attached using fishing line. 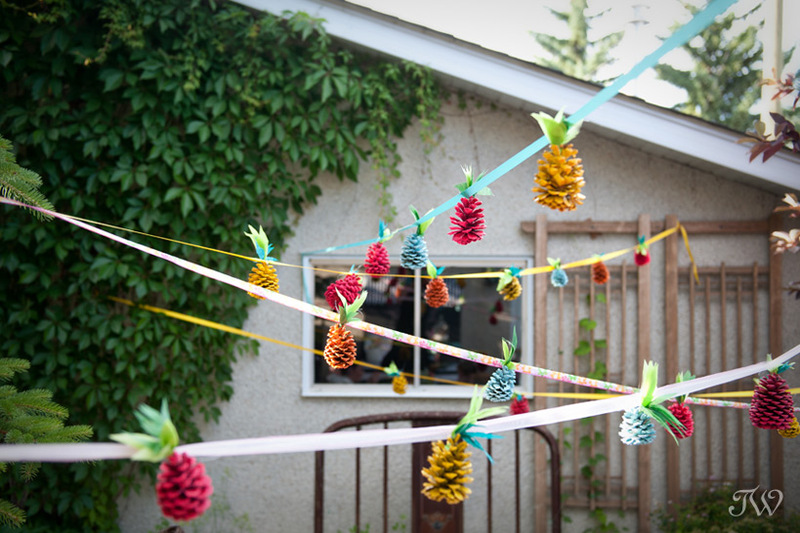 Ribbons were tied randomly amongst the tree branches of the space, and the colorful cones hung from them. 2. 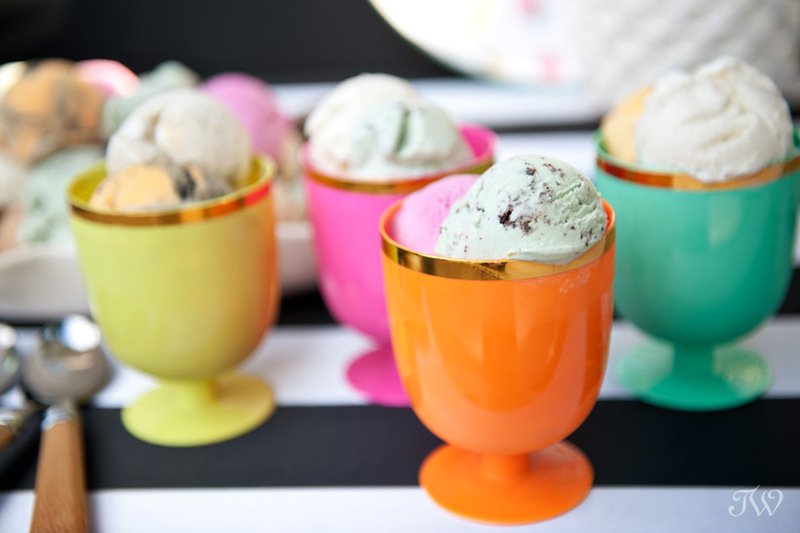 Ice cream bar. 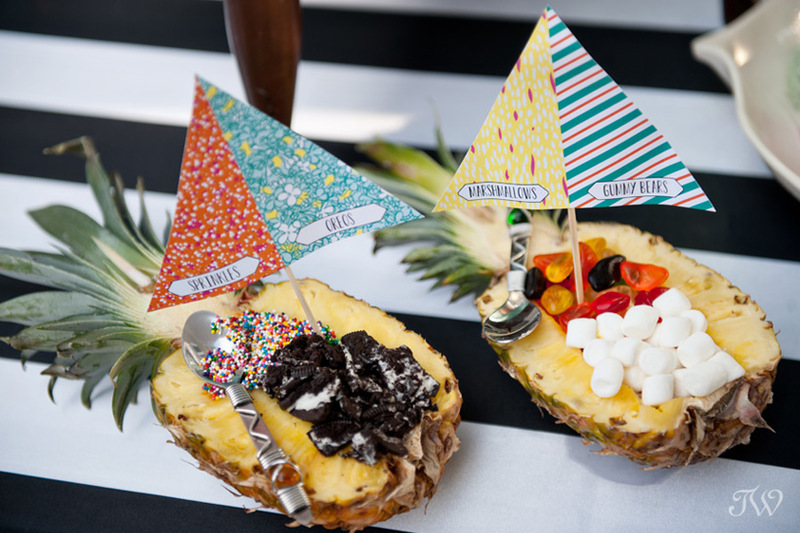 Themed after a carnival booth and complete with a striped awning, we offered scoops of colourful ice cream and a variety of toppings, served in halved pineapples. 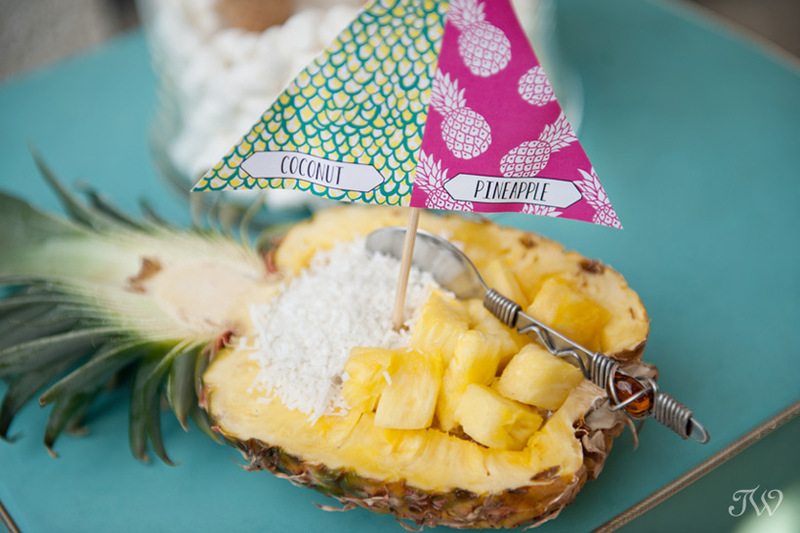 Ali from Modern Pulp created “sails” to label the toppings in their pineapple boats. 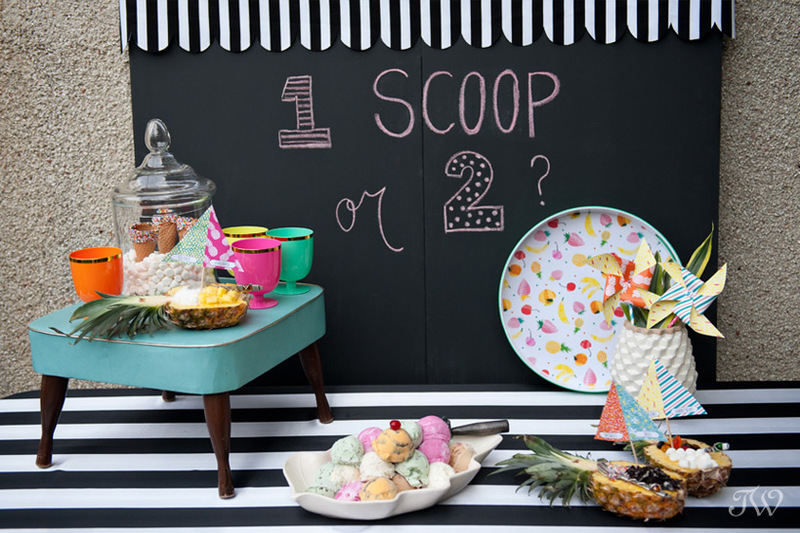 Sundaes were served in goblets by Oh Joy For Target. 3. 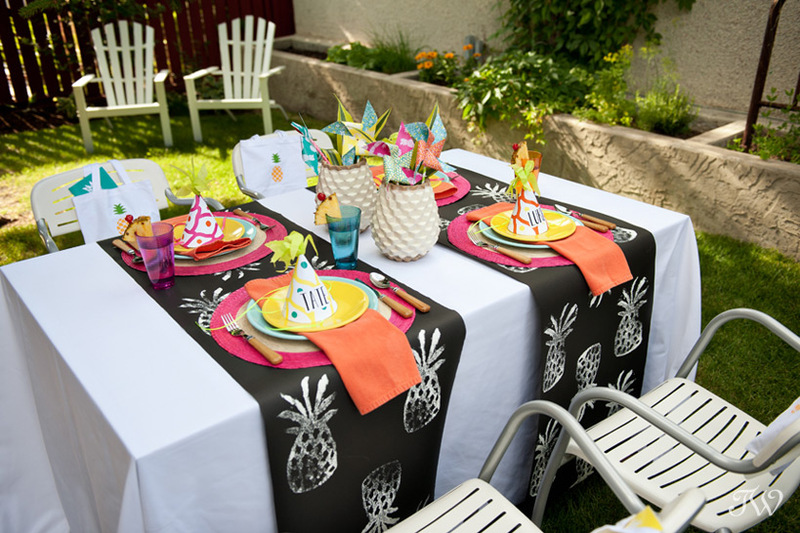 Black paper runners stamped with white pineapples ran across the table and under each child’s place setting. 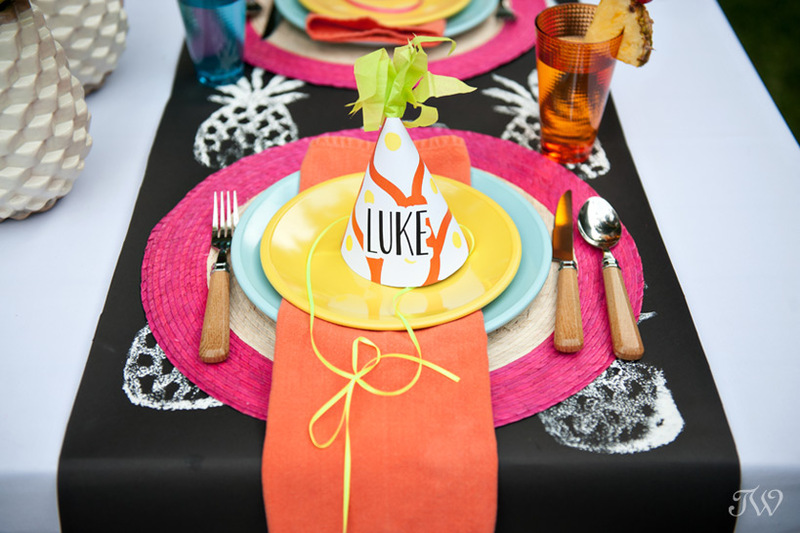 The custom stamp was sculpted from a sponge using sewing scissors. 4. 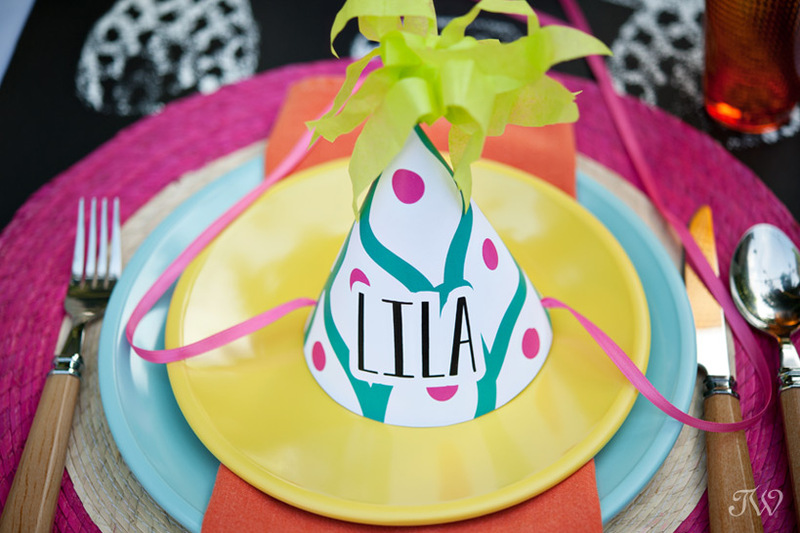 Each child was greeted with a personalized party hat and pineapple gift bag, filled with an activity book, crayons, a cookie, a t-shirt souvenir, candies, and a bottle of bubbles. The activity book by Modern Pulp invited the kiddos to color the wedding cake and navigate their way to the church via a maze. Stop by again soon when Randi from Dukes & Duchesses will give a DIY on the gift bags and everything that spilled out of them. 5. 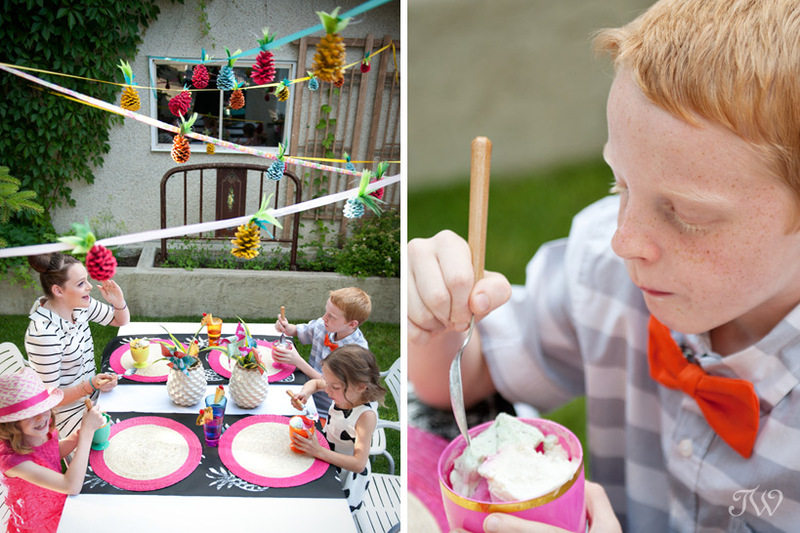 What better way to engage children at weddings than to give them a project? 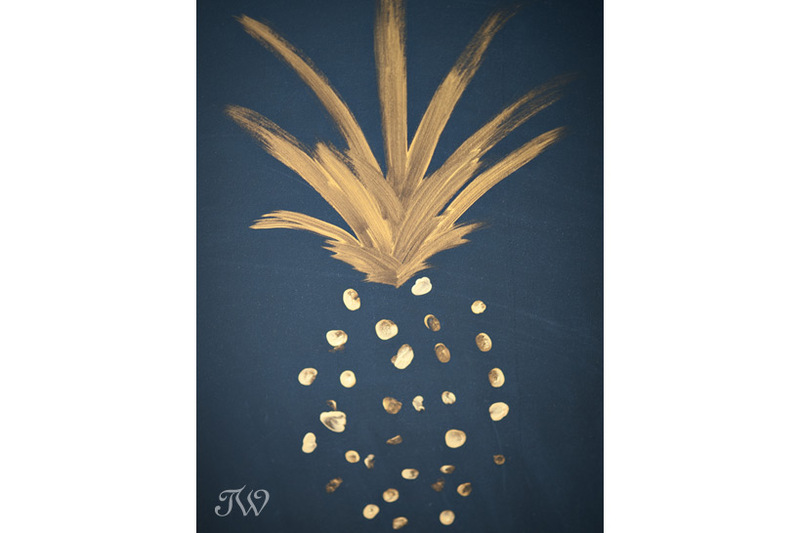 The outline of a pineapple was penciled onto a black background. 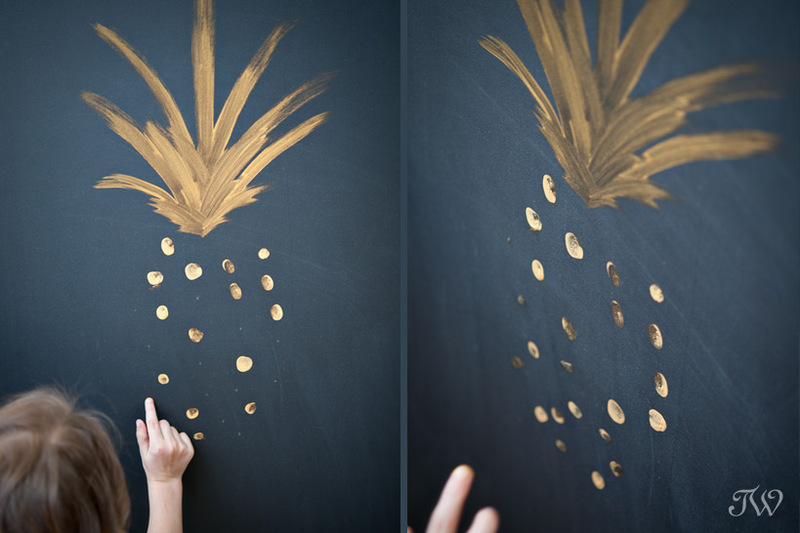 Each child left their fingerprints on the pencil marks, leaving a gold, pineapple guest book for the Bride and Groom. 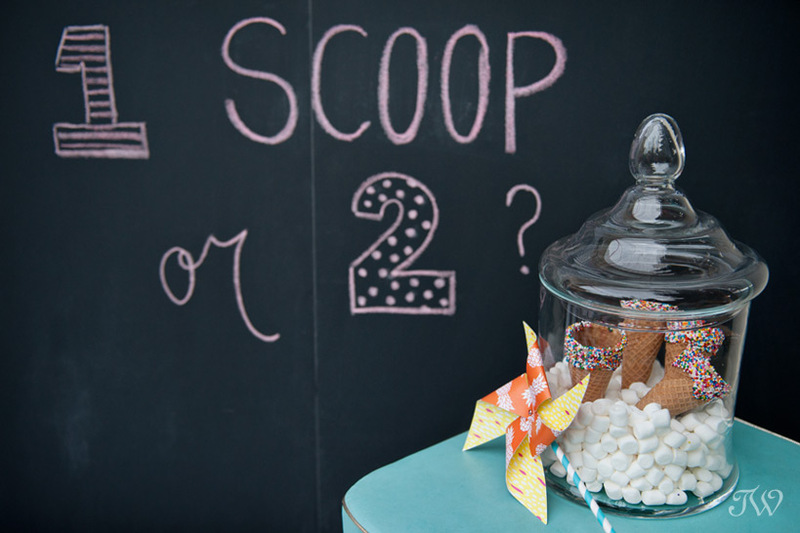 It’s a whimsical way for a bride and groom to remember the little attendees at their wedding and it could serve as a playful art piece in their home together. Thank you to the Dukes kids for playing along. This is great Tara! Love it. 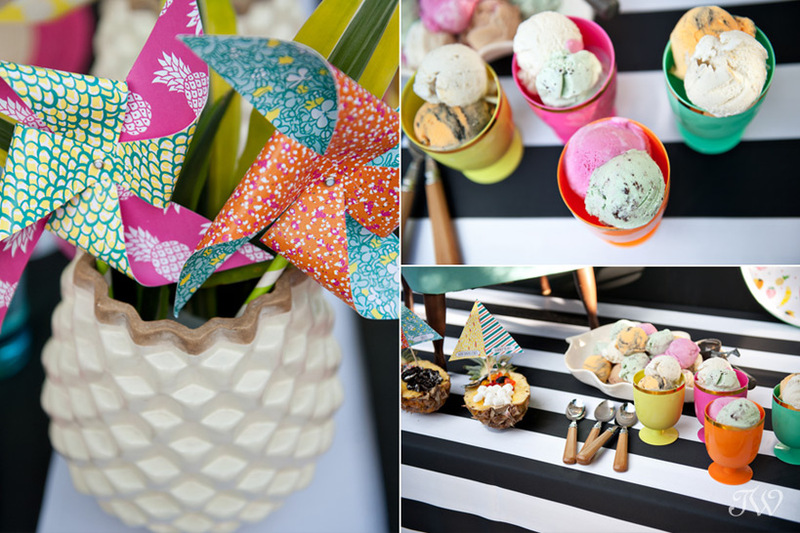 So fun and colourful!